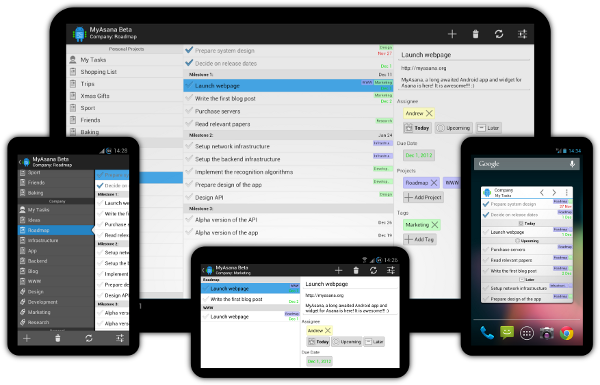 MyAsana for Android - Your Asana.com tasks on the go! Your Asana.com tasks on the go! MyAsana is a native Android app and widget for Asana (www.asana.com). Asana is a task list and project management web application for individuals and teams. It is great for organizing daily tasks and sharing them within a project team or family. With MyAsana, you can enjoy the simplicity and flexibility of Asana on the go, using a phone or tablet app or straight from your Android home screen! View tasks in selected workspaces, projects and tags. Create, edit and delete tasks. Assign tasks to yourself and schedule them for today or later. Organize tasks by projects and tags. Special layout optimized for large tablet screens. 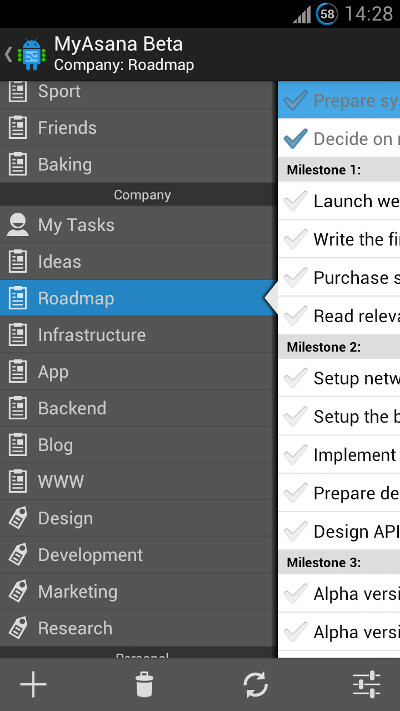 Use the available screen real estate to manage tasks easier and faster! Android home screen widget for quick and easy access to most important tasks. 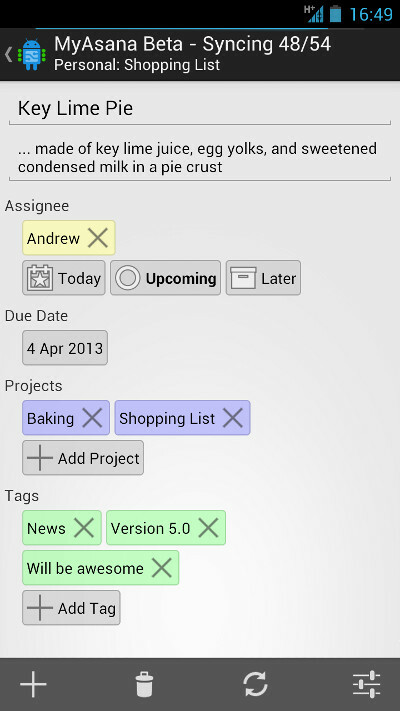 Keep tasks assigned to you or any project or tag always at hand! Sync changes to Asana in real-time or work off-line whenever you don't have network connection. All changes will be synced when you connect again. (c) 2012 Andrzej Pronobis. All rights reserved.